I know I say this about every juice, but this is definitely one of my favorites. Prepare your fruit. You want your pieces of fruit to be as large as possible as opposed to chopping them up into bite-sized pieces. This way they aren’t spun out into the pulp-catcher before they can be juiced. Centrifugal force and whatnot. The cucumber really makes this juice. It cuts the tartness that berries or tropical fruit can have and makes it really refreshing. This juice didn’t give us very much pulp, which I’m assuming means we actually consumed more than what we threw out. 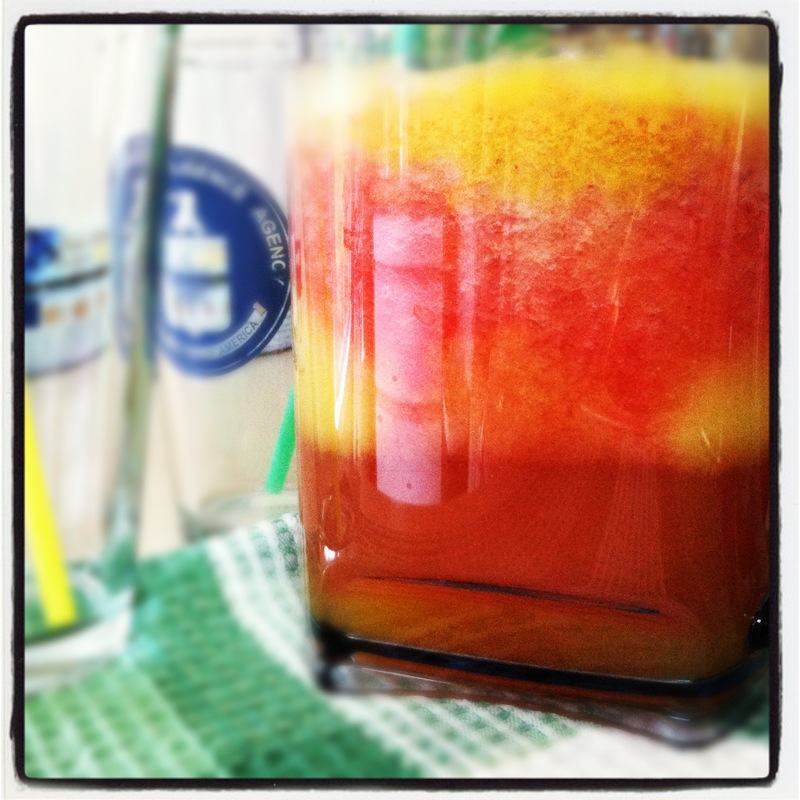 That’s one thing about juicing that I don’t like… all the wasted pulp and fiber. If I weren’t baking with it, I would want to feed it to my goat.